With healthcare organizations churning out an increasing volume of clinical, financial, and operational data, IT tools and analytics are becoming essential for business intelligence and predictive capabilities. 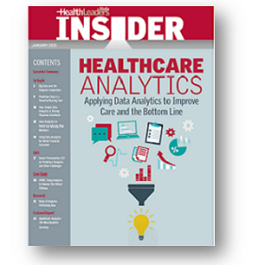 This collection of articles and resources reveals how providers are using analytics to learn about the people they serve and to improve operations and bottom line performance. How has their unit cost–improvement project already yielded improvements of 12.5%–15% for Medical University of South Carolina (MUSC) Medical Center? How are analytics helping providers to navigate the shift to value-based care and minimize the risk of shared savings arrangements? What tools and processes did Network Health use to reduce variations in care and improve population management? How was WellPoint able to identify and implement a 35% increase in appropriate mammograms, a 9% lower readmission rate, and a 4%-17% reduction in avoidable emergency room visits? How does Texas Care Alliance structure their analytics team to effectively manage the volume, velocity, and variety of data? How is Riverside Health System combining technology and interdisciplinary care to support proactive intervention? In what ways has data analytics encouraged physicians at Billings Clinic to practive population health? How did Health Management Associates and MetroHealth use data analytics to improve collections and enhance the revenue cycle?